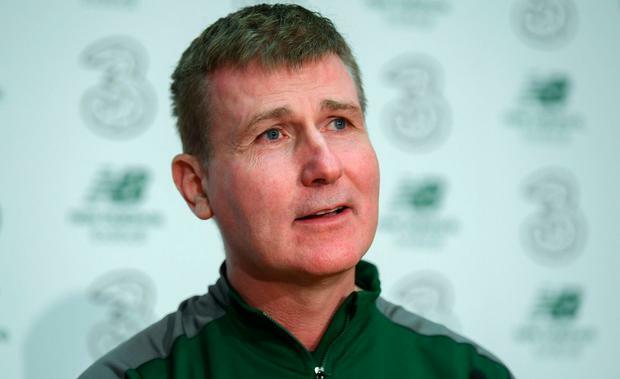 Stephen Kenny has vowed to take an ambitious approach as he attempts to guide the Republic of Ireland to the European Under-21 Championship finals for the first time. Manager Kenny will send a youthful team into Sunday's opening qualifier against Luxembourg at Tallaght Stadium under orders to take the game to their opponents. He said: "It's never happened that we have qualified for the Under-21 European Championships before, so we must start off the campaign with that in mind and must be ambitious in the way we are thinking. "It's important that we try to win matches and put ourselves in a strong position. "What we have got to focus on actually is winning matches first and foremost without making any rash predictions, but we won't be lacking confidence. "We'll be very positive in our approach and that's very important for me, that all the players we have got, the attacking players, that we create an environment where we can flourish, and that's certainly an important part of it for me." Kenny's plans have been hit by injury with 17-year-old Tottenham striker Troy Parrott and FC Dordrecht winger Simon Power among those who have been forced to withdraw from a squad which includes nine men playing their football in Ireland's SSE Airtricity League. However, Brighton midfielder Jayson Molumby is urging his team-mates to send out an early message to the rest of the group. Asked how important a winning start to the campaign could be, Molumby said: "It's vital, really. We're at home and you need to start well. "We have the benefit that we are playing the first game at this early stage because we can get three points on the board early and have other teams around us say, 'Ireland aren't messing about'."